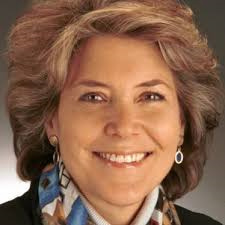 Kathleen Peratis is co-chair of the Middle East North Africa division of Human Rights Watch; an emerita member of HRW’s board of directors; founding chair of HRW’s Women’s Rights division; and helped to create and implement HRW’s policy on officially tolerated violence against women and reproductive freedom under international human rights law. She is also one of the founders of J Street and a member of the board of directors of The Jewish Daily Forward. Ms. Peratis was on the board of the New York Civil Liberties Union for many years and was its president from 1988 to 1993. She joined the board of the New Israel Fund in 1993 and was its Vice President in North America until 1999. Peratis is a partner at Outten & Golden LLP in New York. She has practiced employment law for over 25 years including employment contracts and separation agreements. At Outten & Golden, she chairs the Public Interest Committee and Sexual Harassment Practice Group and is a member of the Executives and Professionals Practice Group. At the ACLU from 1975 to 1979 as the director of the Women’s Rights Project working with, (now) Justice Ruth Bader Ginsburg, she brought lawsuits successfully challenging as unconstitutional laws that discriminated against women on account of gender, including on account of pregnancy. In one of those cases, the U.S. Supreme Court declared that pregnant women could not, on account of pregnancy alone, be deprived of unemployment compensation. In another, the court declared that service women could not be discharged on account of pregnancy. In a third case, Ms. Peratis successfully represented a female midshipman who was being expelled for being in bed with a male colleague—while the male midshipman faced no punishment. In private practice for the last thirty years, Ms. Peratis has continued to represent women and men who are entering or leaving executive or professional employment or are survivors of workplace discrimination and abuse. Her clients include people who are rising on the corporate and professional ladders as well as those who have lost promotions or jobs because of their race, religion, color, or LGBTQ status. She has recovered millions of dollars for these survivors, usually in settlement and sometimes at trial. Under Ms. Peratis’s leadership the Public Interest Committee at Outten & Golden has taken on the representation of people with workplace claims too small to be economically viable for most lawyers but too important to ignore. Ms. Peratis has been honored as a Super Lawyer (2008 – 2015), selected to New York Metro Super Lawyers Top Women 2015, and as one of the New York Area’s Best Lawyers by New York Magazine; as J Street’s 2011 Tzedek v’Shalom (Justice and Peace) Awardee; a Woman of Valor by the Jewish Fund for Justice; for Distinguished Service by Human Rights Watch; and as a Partner In Justice Award of MFY Legal Services. She also received a Medal of Honor from Veteran Feminists of America. Ms. Peratis authored a text book called Woman and the Law and is a contributor to Workplace Harassment, ed. Lindemann Kadue, BNA (2012); she has spoken and written on a wide range of issues or employment law. She was a regular columnist for The Jewish Daily Forward, with a column called “Only Human,” from 2004 to 2010, writing about women’s rights and human rights. She continues to be an occasional op-ed contributor. She has authored op-eds that have appeared in The New York Times, The Washington Post, and other periodicals, as well as essays that have appeared in Ms. Magazine, Lilith, The Washington Times and others.